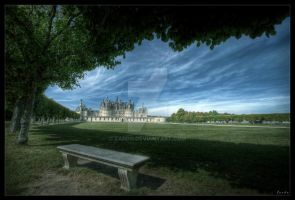 Photograph taken in France / Chambord with the canon eos 30D + canon 10-22 EF-S. 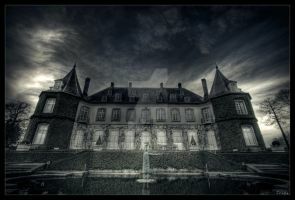 Copyright © Behrouz Riahi, allias Zardo. All rights reserved. My images may not be reproduced or used in any form without my written permission. That's so beautiful. It's mysterious and the shadows make it look like forgotten place. I love this photo! Ooo, I bet it leads to a wondrous place! foreboding and eerie, yet beautifully creepy... i love it! eih c'est a chambord, ds l'escalier à double révolution! 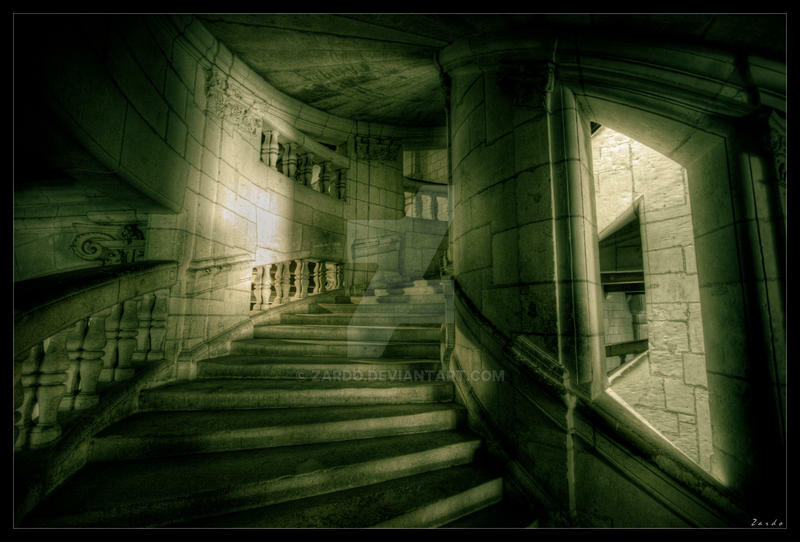 Beautiful image in one of my favorite chateaux. That stairwell is iconic and you've captured it beautifully. I am a huge fan!! I just found your work yesterday. I am in awe of it. I absolutely love this! The architecture is quite lovely. You do like stairs don't you ?